"Where Up North Atmosphere and Hospitality Meet"
The Ripple River Motel and Ripple River RV Park . . . "A place to relax and enjoy!" The Ripple River Motel offers you a relaxing stay on the beautiful banks of the Ripple River. 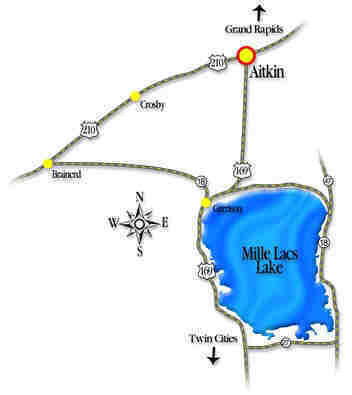 While maintaining a sense of privacy, the motel is still located only blocks south of historic downtown Aitkin! Let us make you feel at home with a touch of "Up North." The Ripple River Motel is an excellent place to stay throughout the year. While staying with us, you can enjoy great fishing, golfing, bird-watching, dining and entertainment. During the winter months, experience snowmobiling and cross country skiing on well-groomed trails adjacent to the motel. 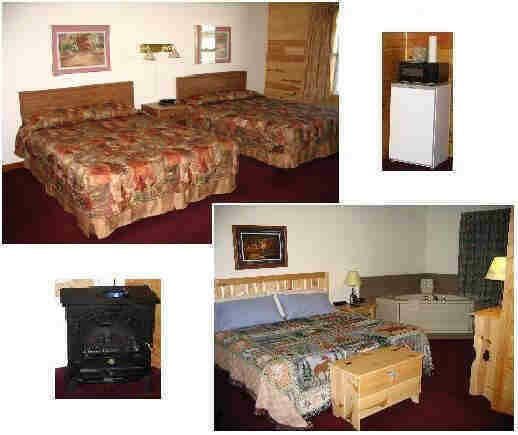 With twenty-eight spacious rooms, the Ripple River Motel presents you with a wide variety of choices for your comfort. Our comfortable, cozy rooms offer color TV with cable, air-conditioning, microwaves, refrigerators and queen size beds. For your convenience, we also provide a continental breakfast to get you ready for your day. Whirlpool rooms and three-bed suites are also available. In addition, you can now vacation for less in the heart of the Lakes area! We now have available non-smoking Extended Stay rooms complete with kitchenettes. Each unit can sleep up to four people. Weekly or monthly reservations are available. Wireless Internet Access Now Available! 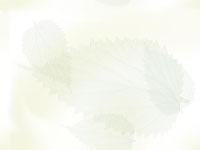 Call, e-mail or contact us now to find out about our seasonal specials and packages. Click the map above for a more detailed map.